(APN) ATLANTA — Today, State Rep. Simone Bell (D-Atlanta) announced she will leave the House to go work for Lambda Legal, the nation’s oldest legal organization working on LGBTQI issues, as southern regional director. Former Rep. Ralph Long (D-Atlanta) tells Atlanta Progressive News that he is already putting his hat in the race. No one will comment, yet, about who else, if anyone, is expected to run for her seat. 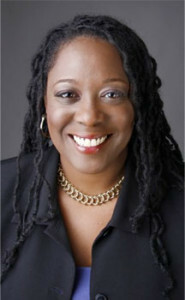 Rep. Bell was first elected in a Special Election in 2009, when State Rep. Robbin Shipp (D-Atlanta) had to resign because of a conflict with her appointment as a prosecutor. She was one of the first members of Atlanta’s LGBTQI community to get elected to office, following State Rep. Karla Drenner (D-Avondale Estates) and later followed by State Rep. Keisha Waites (D-Atlanta). In 2010, the State legislature redrew district lines so that she and Rep. Long lived in the same district. While in other Democratic pairings, one candidate chose not to run for reelection, in 2012, Reps. Bell and Long ran against each other for the District 58 seat. Bell won against former Rep. Ralph Long in the 2012 elections; Atlanta Progressive News endorsed Bell in the race. Long’s wife, Erica Long, ran against Bell in 2014; and Bell won again. “We had to run against each other, and she won. But since she is resigning, I’d like to give it a go,” former Rep. Long said in an interview with APN. Long says he plans to continue Rep. Bell’s work around LGBTQI issues, including fighting the proposed religious freedom bill (RFRA), as well as making education and safer crosswalks in South Atlanta part of his campaign. “And for Midtown I want to have townhalls and things, that level of service has always been dear to my heart. I’ve never stopped,” Long said. Rep. Bell announced her departure from the Legislature in a press release. “I have truly enjoyed working with representatives on both sides of the aisle and all of the hardworking individuals who are committed to creating laws and policies that reflect the needs of all Georgians. I am looking forward to continuing to improve the lives of people in our state and across the south during this new chapter,” Rep. Bell said. Rep. Bell was also tapped last year to serve as the Chief Deputy Whip for the House Democratic Caucus. District 58 runs from Piedmont Park south to DeKalb Avenue, and also includes parts of South Atlanta, just north of the Arthur B. Langford, Jr. Parkway. “I am tickled to death regarding the new opportunity [for Rep. Bell]. Those shoes are going to be big shoes to fill given the upcoming fights regarding RFRA… we will feel her absence,” Rep. Keisha Waites said in an interview with APN. “We’re all saddened to hear of Rep. Bell’s decision to resign her seat… Her efforts to fight against discriminatory legislation and work for great understanding and legal protections for the LGBT community have been unwavering,” Jeff Graham, Executive Director of Georgia Equality, said via email. “However, we would also like to congratulate her on her new position with Lambda Legal and look forward to continuing to work closely with her in this new role,” Graham said. “This morning I delivered my letter of resignation from the House of Representatives to Governor Deal. I have accepted a position with Lambda Legal as the Regional Director of their Southern Region Office. My resignation is effective November 13, 2015,” she wrote. “Thank you for your support and love over the years. I have enjoyed serving with each of you and will miss you immensely. My time at the House has been a highlight of my life and I will take all that I learned into the next phase of my journey. It is bitter sweet, but I’m excited about taking what I’ve learned and duplicating it across the south,” she wrote. “I have accepted a Regional Director position with Lambda Legal in their Southern Regional Office. I will lead a team of attorneys, community educators and an awesome support staff, fighting for the rights of lgbt people and those living with HIV in 10 southern states,” she wrote. “We are very pleased to welcome Simone back to Lambda Legal and look forward to the exciting work ahead. Simone has never stopped being a fierce advocate for LGBT people and those living with HIV,” Kevin Cathcart, Executive Director at Lambda Legal, said in a press release. It is with mixed feelings that I read this news…while we will miss Rep. Bell’s unflagging fight for the LGBTQI community under the Gold Dome, I can understand the more influential role she may feel she can play as a private citizen with Lambda Legal…(including taking possible legal action(s) against the Gold Dome [as in the ‘Vandy Beth Glenn decision’]…) I wish Simone ALL the love/luck in the world! !